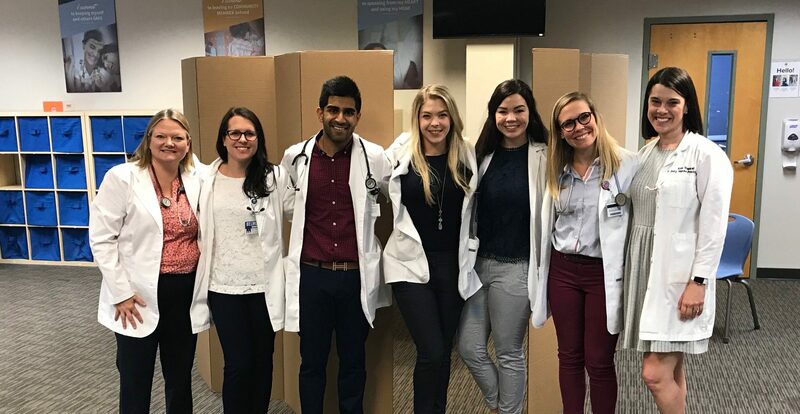 Graduate students from Belmont’s College of Health Sciences and Nursing have been volunteering throughout the community to provide well child exams and sports physicals to Nashvillians. A recent purchase of portable equipment has allowed students and faculty to travel throughout the city, providing essential care while ensuring students have access to meaningful clinical experiences. Envisioned and led by nursing faculty members Drs. Linda Wofford and Erin Shankel, the work that began this summer will continue through the fall and spring semesters. This summer, students provided one, on-site day at Harvest Hands, a local nonprofit and a second day at Valor Collegiate Academy. Together, the team was able to provide medical services to more than 30 children.